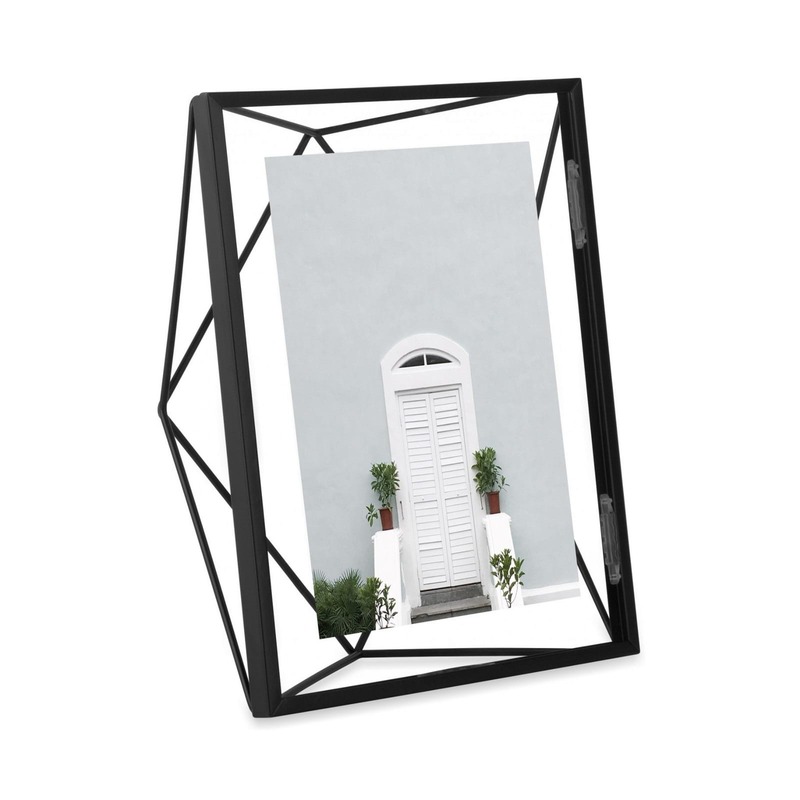 Prisma (black) is a unique frame with beautiful geometric shape. 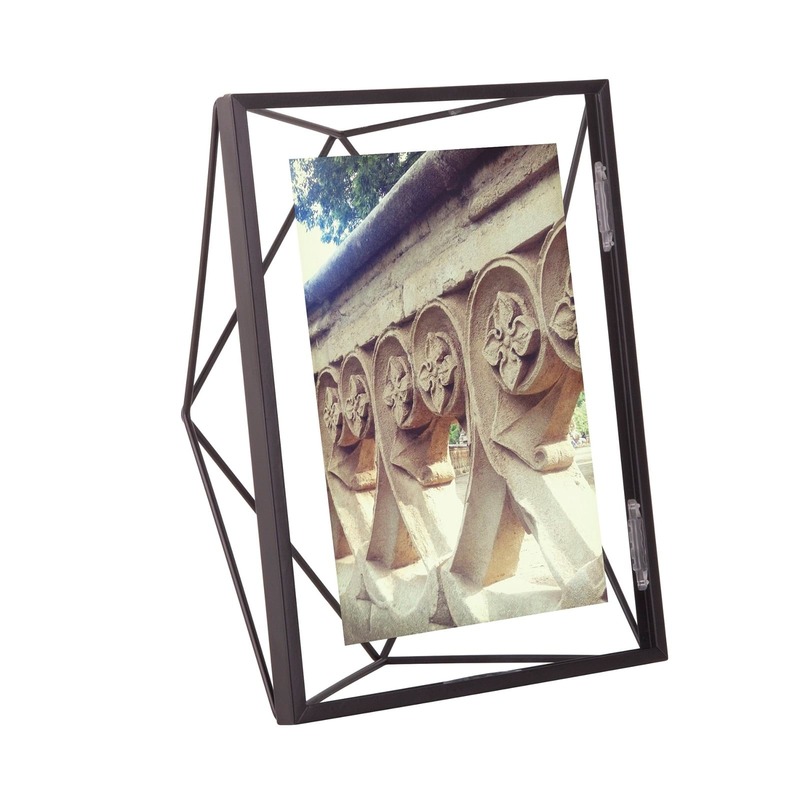 Add a 3rd dimension to your photos with this prismatic 18 x 23 cm photo display by Umbra. 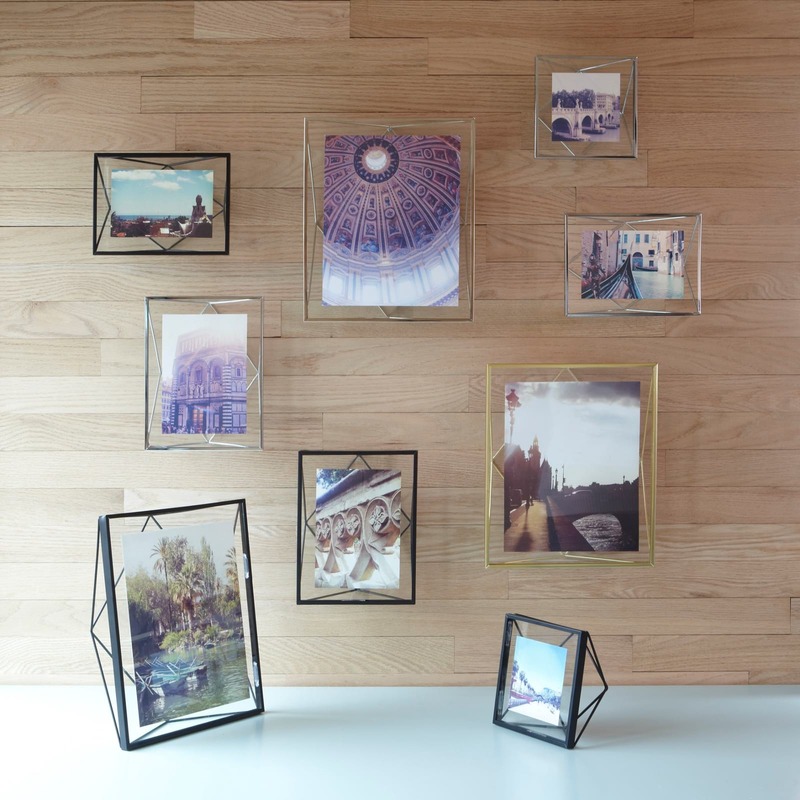 Placed on a table or hung on wall, the PRISMA frame will add a third dimension to your photos. 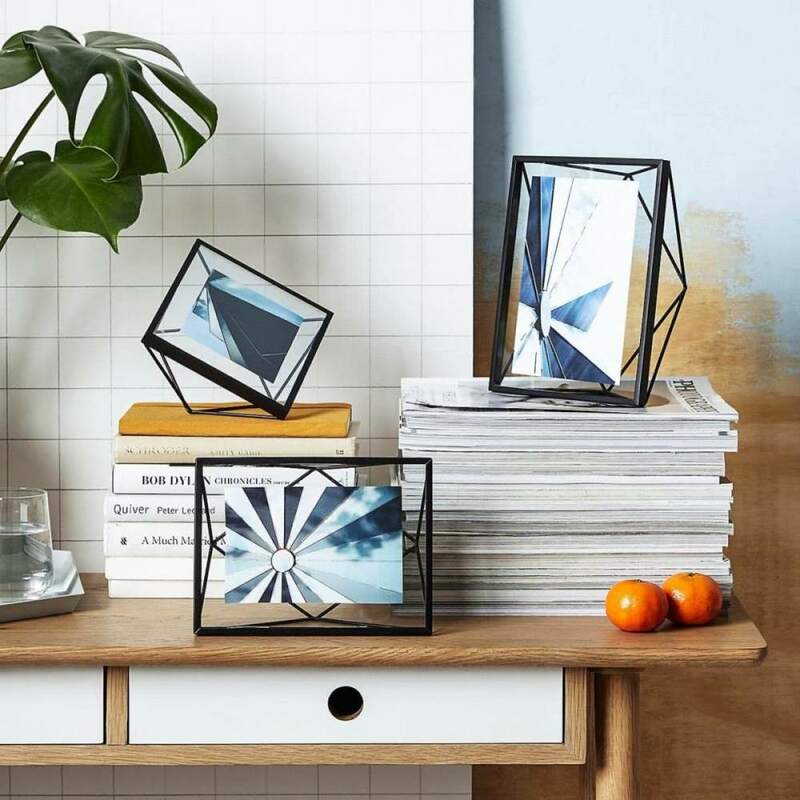 Wire shapes show through the front of the frame as your photo sits between two panels of glass. *13 x 18 cm photo size is required for the float effect. Dimensions: 17.8 x 22.9 x 7.6 cm. (7 x 9 x 3"). For 13 x 18 cm (4" x 6") photographs.